I wanted to to burn and smash some guitars and photograph it. I asked a friend of mine, who is a guitar player if he wanted to do this is front of the camera. 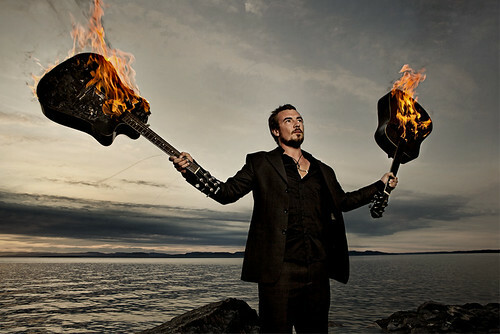 We had three guitars to play around with, but never got into the smashing, they burnt up to fast. The burning part was cool enough. Here is one of the pictures we took. AB800 x1 in octabox to camera left.